Every time I declutter my house, I find myself in a showdown with several boxes of videotapes I made when my kids were little. The tapes are covered in dust. They stare back at me, daring me to throw them away. I haven’t owned a VHS machine since the late 90’s so I can’t watch them. In their current form, I will never be able to. I am sure they are loaded with impossible cuteness. But I’m not blessed with an overabundance of spare time. So, even if I had the technology, I am unlikely to find an afternoon to hook a VHS machine up to a computer, find an adapter, and figure out how to transfer those memories to a digital format that will allow me to view – and share all over social media – those moments from the past. This is a common problem. You probably have your own box of disintegrating memories, lurking in a closet. That means, fortunately, that there are online services that – for a little money – will find the time and to get this done. All you do is drop your old tapes into a box, slap on a label, and wait for them to come back, watchable. That way, if either of us ever do find a spare afternoon, we can spend it getting misty eyed in front of what was. I love Scanmyphotos.com’s photo-transfer service. And the company also transfers VHS or 8mm videos to DVD. 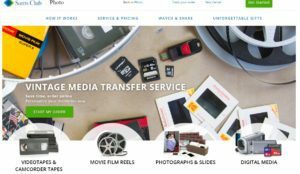 If you have a whole lot of tapes, aren’t sure what’s on any of them, and just want the whole thing converted so you can look at what’s on those tapes, check out the prepaid box transfer service. For $245, you can have an entire box – up to 14 tapes – transferred all at once. 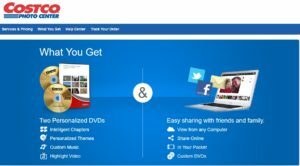 Costco will take your old movies (or newer ones, recorded to your phone or camera) and convert them to DVD. You can go into Costco or just do it online. Online, you will have to create a new order for every two tapes (because one order equals one DVD, which strikes me as a bit arcane.) If you have more videos that that, you’ll have to create a new order for each two tapes. That’s a pretty good price from Sam’s Club. And, if you frequent this big-box store, you can haul your memories in for transfer next time you go there. Or just log on, and set it up online. 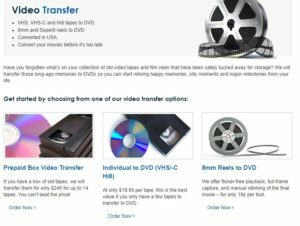 Sam’s will handle just about any ancient media you have, too: VHS, Betamax, Hi-8, Mimi-DVD, film reals, slides, photos, and storage media to DVD or Blu-Ray. And for a little more money, Sam’s will store it all online where you can access it anytime, from any device. 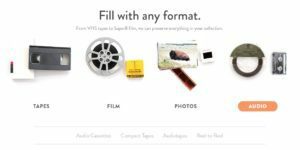 Order a box from this company and when it shows up, fill it with VHS tapes, film, photos – whatever you have, even cassette tapes. The size of the box determines the price. When it’s full, send the packed box back to Legacybox. In a couple of weeks, your memories will return. This time on DVD, and on (optional) thumb drive.